In 2013, Simon’s father Ted was diagnosed with dementia. What had started with forgetfulness and frustration developed into something altogether more severe and aggressive. He would forget where he was, would fail to recognise Simon and wife Linda, and would lash out in anger at anyone who tried to help him. The only thing that seemed to ease the pain was singing. 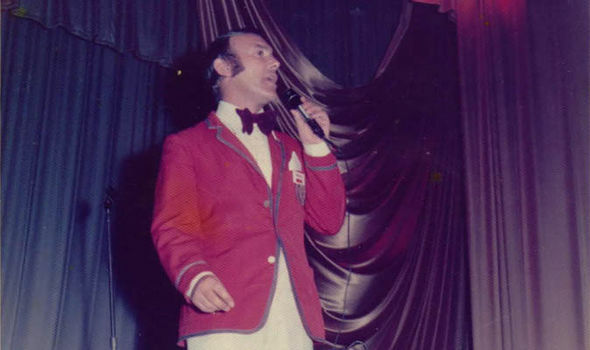 As a club singer and Butlin’s redcoat in the 1960s and 70s, Ted – now 80 – had entertained thousands of people and even through the fog of Alzheimer’s he could still recall every word of every song he sang. 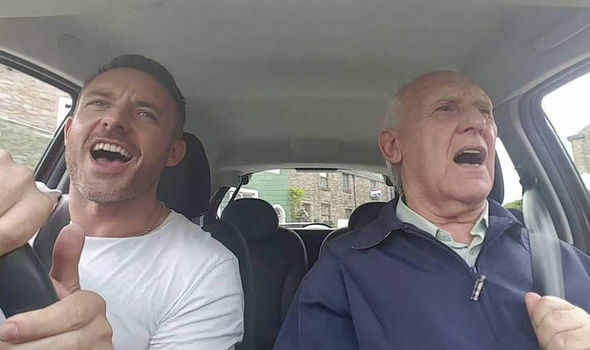 And so Simon hit upon the idea of putting together a CD of his favourite numbers and taking his father for a drive, during which he could sing to his heart’s content. Simon started recording their drives on a dashboard camera and posting them on to his Facebook page for his mum and friends to see and then, in July 2016, after a particularly joyous, lung-bursting rendition of Engelbert Humperdinck’s Quando Quando Quando, he was persuaded to upload the video to YouTube. What happened next was in Simon’s words “completely surreal”. The video was shared thousands of times and within a week Ted McDermott had achieved a greater level of fame as a singer than he could ever have hoped for when he was trying to make a career of it as a young man. 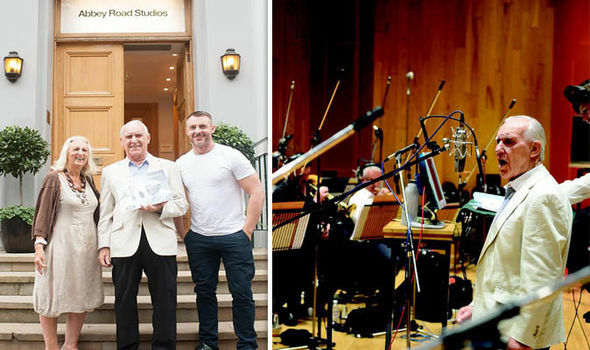 A top 10 single followed and then a crowdfunded album, a Pride of Britain award and a fundraising campaign that has seen Simon and Ted so far raise £150,000 for the Alzheimer’s Society. Now Simon has written a book, published this weekend, in which he tells his father’s life story from his tough upbringing in 1940s Black Country, through his singing career, and eventual diagnosis with Alzheimer’s. The result is a moving testament to a life at once both ordinary and extraordinary – made all the more so by the meticulous research carried out by Simon, as he tracks down former friends, bandmates and colleagues of his father’s in an attempt to uncover the man he was before falling victim to dementia. “Growing up, my dad and I were close but then during my teenage years we drifted apart a bit as I think everyone does at that age,” says Simon. “It sounds weird to say this but I guess dementia’s brought us closer together. Even though dad doesn’t know who I am any more I’ve found out so much about him by doing the book. “For example, I always knew he was in a band called The Starliners and actually meeting this guy who he was in the band with and talking to him about what dad was like, it was such an eye-opener, and incredibly emotional. I’d come away from meeting these people and I’d be in tears. “There’s my dad who has got no idea who I am and there I am hearing these stories from his past. This process of discovering the man Ted was before his son knew him has proved rewarding in ways that Simon could not have expected. “I knew the basics of my dad’s life but I didn’t really know what made him tick,” he explains. “My dad and I never talked about feelings. He was always there but I don’t feel I ever really knew him so it was amazing to hear all these people talk about him. “When I started to track down people he knew so many of them would say to me: ‘He’s so kind, he would always look out for people.’ And the man he is now, when he has his rages, it’s a reminder for me that this is just a part of his life, it’s not him, it’s not who he really is. “The real Ted, my dad, isn’t the angry guy with dementia lashing out, he’s the man who would always fight for what was right, who would always stick up for others. “I feel I know him now better than I ever did before. When he’s kicking off I can breathe and just think: this is the illness, this is not him, he’s a good guy.” It has also led Simon to come to a revelation of his own. “This has been a wake-up call,” he says. “We’ve only got a finite time to be around our fathers. We need to make the most of it. “It’s only when you realise things are not going to be around for ever that you wish you’d made more of them. “We only have a small amount of time here so why waste that time fussing around with things that don’t actually matter? One of the most affecting moments in the book comes late on after Ted’s diagnosis. The pair go for a walk and end up in the pub where the older man proceeds to wax lyrical about Simon and how proud he is of him, all while having no idea that the person he is talking to is in fact his son. 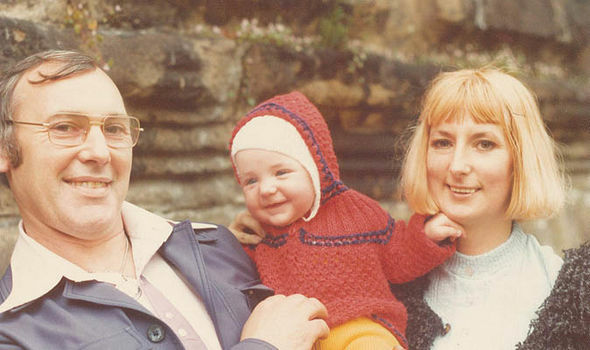 If it serves as a rather beautiful testament to the power of paternal love, it is also a heartbreaking example of the cruelty of the disease. Simon himself is candid about the struggle he and mum Linda have to cope with Ted during his bad moments – he has now moved back to the family home in Blackburn to help Linda care for Ted full-time – and he is passionate not only about raising awareness of the disease, but also about raising money for the Alzheimer’s Society. “Coping with someone you love who has Alzheimer’s is a nightmare,” he says. “When dad was diagnosed it was very much: he’s got dementia and then that’s it, you’re left to deal with it. Thank God for the Alzheimer’s Society if they weren’t there I don’t know what we’d have done. We’d have sunk completely. And we’re suffering from it. We’re barely getting through each day. And there’s thousands of people like us, they’re not living with dementia, they’re suffering from it. Ultimately, however, the book is about Simon discovering, or rediscovering, his father. You get the feeling that Ted himself might well say the same about his son.